Peep-toe season is nearing its end—but full-blown boots? We're not pulling those out of the closet just yet. That means it’s officially the Season of Booties: pre-fall's favorite footwear pick. Ankle boots are an easy mid-season staple to love because they look great with everything from skirts and pants to jeans and dresses. What to wear them with depends on the material, silhouette, and heel height of the shoe, which all play a role in defining its style. Here, we’re breaking down the bootie and exploring three styles that make completely different statements, so you can achieve the look you want. For a laid-back look that’s both classic and cool, opt for neutral hues in matte leathers and soft suedes. A flat or low, stacked heel is easy to walk in and a natural choice for daytime outings. This style is a perfect match for skinny jeans, but try pairing them with your summer dresses to slowly ease into fall. Keep things fresh in of-the-moment hues like white, olive, and beige. Since these colors work as neutrals, there’s no need to shy away from fun features like cut-outs, lace-up details, and contrasting panels. A mid- to high-rise heel kicks things up a notch and gives you the added versatility of dressing your look up or down. Pair these booties with slim ankle pants or a crisp shirtdress at the office, then try a more casual approach with boyfriend jeans or silk joggers for the weekend. Feeling bold? Flirty sheers, shiny patent leathers, and embroidered satins are the textures to try this season. Go for a pointed toe and a slim silhouette that hugs the ankle for a long, streamlined look. 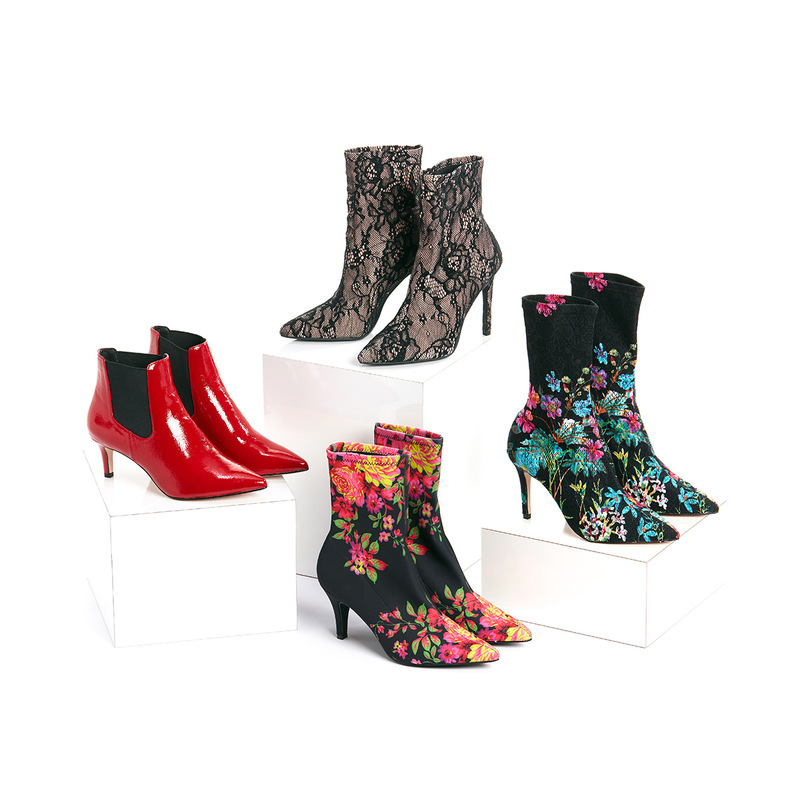 Be warned: These stiletto booties are total showstoppers, so give them the room they need to shine with ankle-baring dresses, skirts, or cropped pants.